Brave efforts in the middle distances by Genzebe Dibaba and Caleb Ndiku and Justin Gatlin’s world-leading dash in the 100m were among the highlights of a thoroughly entertaining 53rd edition of Ostrava’s Golden Spike on Tuesday (17). The IAAF World Challenge meeting played host to three world record attempts. Although none of them materialised, the near-capacity crowd at the Mestsky Stadium did not leave disappointed as five meeting records were broken and seven world-leading marks were set. Near the end of the evening’s programme, Genzebe Dibaba brought the stadium to life with a brave assault on the world 2000m record. She came up a bit short, but it wasn’t for lack of trying. 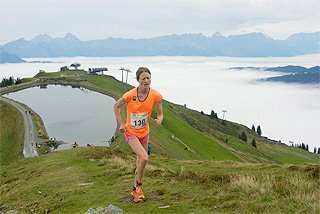 She reached the midway point in 2:42.67, within half a second of the pre-race target, before forging on alone for the final 900 metres. She passed the bell in 4:20.62, needing to close in less than 65 seconds to take down Sonia’ Sullivan’s 5:25.36 record set 20 years ago. Urged on by the crowd’s clapping, stomping and screaming, the double world indoor record-holder gritted her teeth as she entered the final stretch before crossing the line in 5:27.50, the third fastest performance in history and an African record. 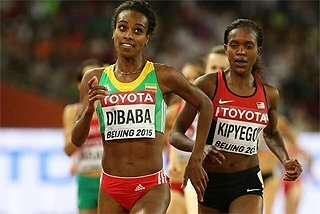 Her compatriot Senbera Teferi was a distant second in an African junior record of 5:34.27. A similar scenario played out in the Zatopek Memorial 3000m earlier in the evening – albeit without a record assault – where Caleb Ndiku, the world indoor champion over the distance, also found himself running alone over the final two laps. Unfazed, he forged on to produce an impressive 7:31.66 victory, a world lead and just inside the previous meeting record. World youth champion Yomif Kejelcha of Ethiopia edged New Zealand’s Olympic medallist Nick Willis for second, 7:36.28 to 7:36.91, personal bests for both. Kejelcha’s time was the second-fastest performance in history by a youth athlete. At the other end of the age spectrum, fourth-placed Bernard Lagat clocked 7:38.30. 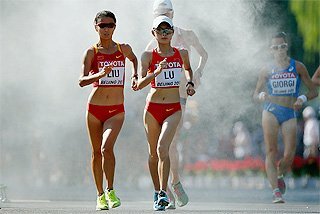 In doing so, the 39-year-old became the oldest ever man to run faster than 7:40 in the 3000m. Poster boy Gatlin was among the chief protagonists at the meeting and his evening-capping performance in the 100m didn’t fail to impress. Powering from the blocks, he was well ahead some 40 metres into the race en route to a 9.86 performance that knocked 0.01 seconds from the world lead he brought with him to this eastern Czech city. 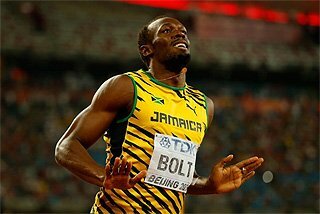 “I almost broke the (9.83) meet record so I’m pleased,” said the 2004 Olympic champion, who extended his unbeaten streak in the event this season to eight. Mike Rodgers held off Kim Collins 10.08 to 10.12 to finish a distant second. Competing just three days after his sensational 2.42m clearance in New York, Bohdan Bondarenko rode a massive wave of momentum to Ostrava. He couldn’t duplicate his weekend feat on this night, but he did produce two decent attempts at 2.40m after upping the meeting record to 2.33m. Adonios Matoras of Greece cleared 2.30m with his third try to finish second and improve his outdoor career best by four centimetres. Renaud Lavillenie needed just two clearances to take top honours in a pole vault competition where the shifting winds took centre stage. History’s highest vaulter entered the competition at 5.73m, which he cleared on his second attempt, then topped 5.83 on his first before bowing out after three misses at a would-be meeting record of 5.93m. Brazil’s Thiago Braz was second at 5.73m and Czech Jan Kudlicka (5.63m) third, tied with Augusto Dutra. Another meeting record came in the 400m courtesy of world champion Lashawn Merritt. Running patiently through the first 300 metres, he cruised home to a comfortable 44.16 win to eclipse the 44.49 meeting standard set by Kirani James one year ago. Botswana;s Isaac Makwala was second in 44.83, improving his own national record set at altitude earlier this year. 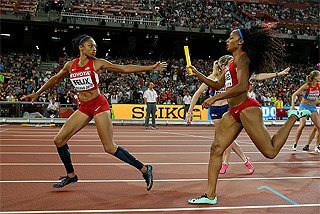 Rounding out the sprints, Allyson Felix produced a confidence-boosting win in the 200m, ultimately fighting off Briton Bianca Williams and Frenchwoman Myriam Soumare in 22.75. “The wind was a little tough, but the fantastic fans really helped,” said the Olympic champion, who is on the comeback this year from an injury she sustained at the World Championships last year. Running just to Felix’s outside, Williams clocked 22.79, the fourth straight PB for the 20-year-old this season. Soumare, a former European champion, clocked 22.85, also a season’s best. The home crowd was treated to a strong exhibition in the javelin throw courtesy of world champion Vitezslav Vesely. The Czech will be pleased with his consistent performance, one in which he surpassed 87 metres three times. His winning effort came with his opening throw of 87.38m, but he also hit 87.04m and 87.01 in rounds three and five. World junior record-holder Zigismunds Sirmais was second with a PB of 86.61m. With Olympic champion Barbora Spotakova sidelined by an appendix infection, Doha IAAF Diamond League winner Martina Ratej encountered little difficulty on the way to her fourth win of the season. 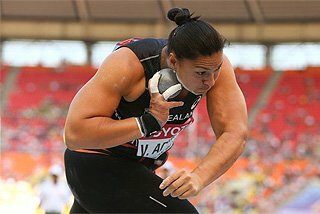 The Slovenian record-holder’s 64.45m best effort came in the final round, but any of her other four measured throws would have sufficed for the victory. Tatjana Jelaca of Serbia was a distant second with a 60.16m throw, also from the final round. German Katharina Molitor (58.68m) was third. Poland’s Tomasz Majewski controlled the shot put competition from his opening round 20.72m effort, but didn’t seal his first victory of the season until his 20.90m toss in round five. “I wanted to throw over 21 metres so I’m not very satisfied with the result,” said the two-time Olympic champion who brought a 21.04m season’s best to Ostrava. Czech Jan Marcell threw a season’s best of 20.74m with his last put to take second, ahead of compatriot Tomas Stanek (20.58m). Winnie Nanyondo nabbed an impressive win in the women’s 800m, powering down the homestretch and away from a crowded 14-woman field to a 1:59:27 personal best. 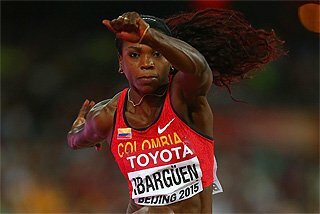 It was the first international win over the distance for the 20-year-old, one she celebrated with a little dance before she knelt to the track and raised her arms to the sky. Maryna Arzamasava of Belarus ran down Molly Beckwith of the US in the waning stages to take second, 1:59.65 to 1:59.77, season’s bests for both. Czech Lenka Masna (1:59.93) and Sifan Hassan (1:59.95) of The Netherlands also dipped under two minutes. The men’s 1000m was to be a world record attempt for 800m world champion Mohamed Aman. But Ilham Tanui Ozbilen had other plans. 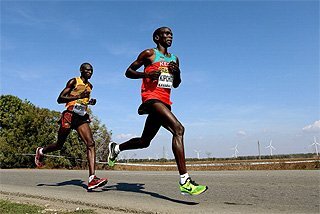 The Kenyan-born Turk looked strongest throughout, even when Frenchman Pierre-Ambroise Bosse tried to steal the race with 200 metres to go. The pair engaged in a spirited battle down the home straight before Ozbilen pulled away to win in 2:15.08. Bosse clocked 2:15.31 to finish second with Australian Jeff Riseley (2:16.09) third. Aman (2:16.33), who was never really in it, was a distant fourth. 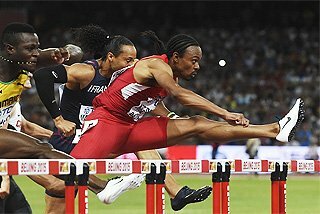 The men’s 110m hurdles was a fairly even affair through the first six hurdles when Hansle Parchment apparently decided that he wouldn’t be beaten on his 24th birthday. 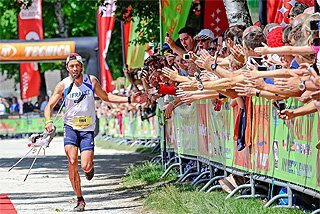 It was then that the Olympic bronze medallist began to pull away and by the time he approached and cleared the final barrier, he was well on his way to decisive victory in 13.18. “I’m very glad I gave myself such a nice birthday present,” said Parchment, the Jamaican record-holder at 13.05 from last year. Pascal Martinot-Lagarde of France was a clear runner-up in 13.28 with Xie Wenjun (13.37) of China third. Dayron Robles, who set a world record of 12.87 on this track in 2008, finished a distant seventh in 13.76. 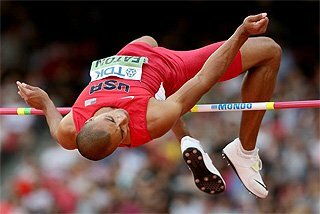 For the first half of the men’s 400m hurdles, Ashton Eaton more closely resembled a seasoned veteran of the event than the world record-holder and Olympic champion in the decathlon. The US all-rounder went on a tear from the gun, building a clear lead by the second hurdle, one he extended down the back stretch and midway through the final turn. Then, as he entered the homestretch, things began to unravel. Estonian Rasmus Magi took advantage, passing Eaton over the final barrier only to be overtaken in the final lunge for the line by Briton Niall Flannery who snatched the victory with a 48.80 personal best. Magi clocked 48.87 for second and a national record while Eaton’s 48.94 was his first jaunt into sub-49 territory. In the women’s race, Czech Denisa Rosolova kept the crowd on their feet with a strong run for the initial two-thirds of the race, but when she faded entering the homestretch, it became a Jamaican duel to the line. Nickiesha Wilson prevailed over Ristananna Tracey 55.22 to 55.43, with surprise Doha winner Kemi Adekoya (55.49) less than a step behind to finish third. The afternoon world record assault in the women’s 20,000m came to an abrupt halt when Florence Kiplagat succumbed to apparent stomach problems and stepped off the track 29 laps into the 50-lap contest. 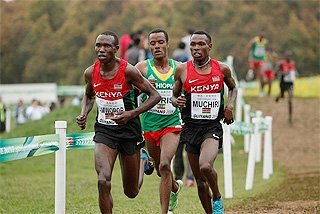 In her absence, her Kenyan compatriot Alice Kimutai was the clear winner. Catching and passing Ethiopian Mulahabt Tsega just as the gun sounded one minute to go in the one-hour race, the 22-year-old went on to win the race in 1:08:32.2, 35 seconds clear of Tsega. En route, they covered 17,545m and 17,544m over one-hour, respectively. Kenyan Hyvin Jepkomei fought off Morocco’s Salima Alami to win the 3000m steeplechase in 9:22.58, 0.53 shy of her career best. Alami’s perseverance paid off in the form of a 9:23.27 personal best. And finally, Li Yanmei of China took the victory in the women’s triple jump, with a 14.03m best from the second round. No one else managed to reach 14 metres; Portugal’s Susana Costa and Kristin Gierisch of Germany came closest, reaching 13.98m and 13.95m respectively.